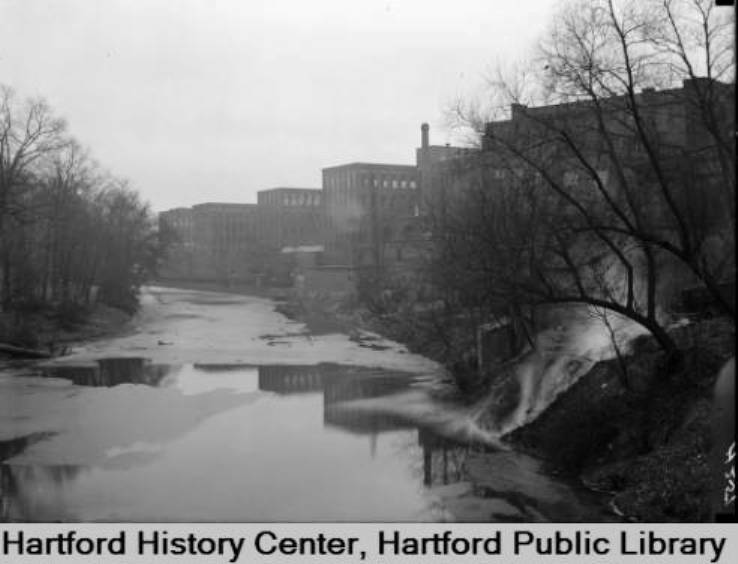 The Park River, also known by the nickname Hog, ran thru Hartford until it was buried in 1944! With all due respect to one and all, this was also another ( Front Street razing being the most damaging) of a series of bad decisions which have punished Hartford thru the years. Below are excerpt s from articles which appeared in the Hartford Courant between 1920 and 1944 on the topic! In the summer the flow of the river diminished to a trickle! The river is covered up! The following article appeared in the New york Times in 2003! 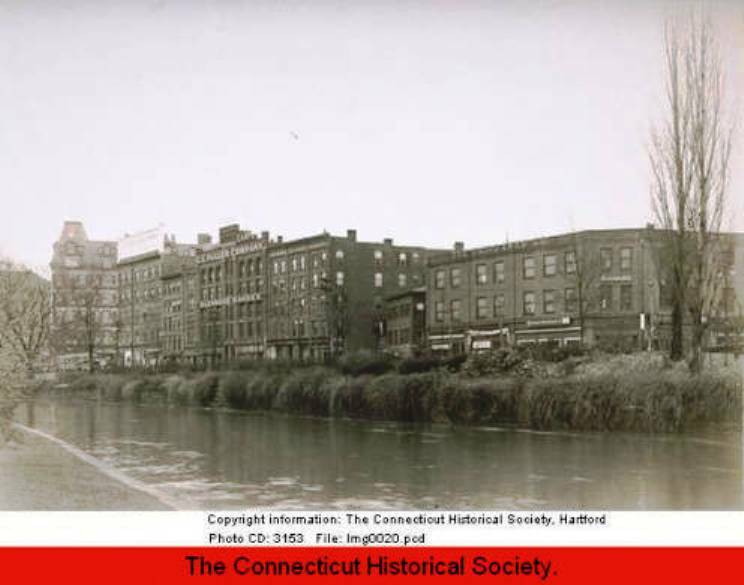 Even if you know something about Hartford's Park River and chances are you do not; the federal government buried it nearly 60 years ago -- actually finding it amid this city's highways and housing projects is a matter of pride and prejudice. Pride, that is, in locating the concrete esophagus that swallows the damaged river on the city's west side, sending its waters underground; prejudice against launching oneself into the dark, hot breath of what is essentially a sewer channel for a three-mile journey under this city. It was not always this way. 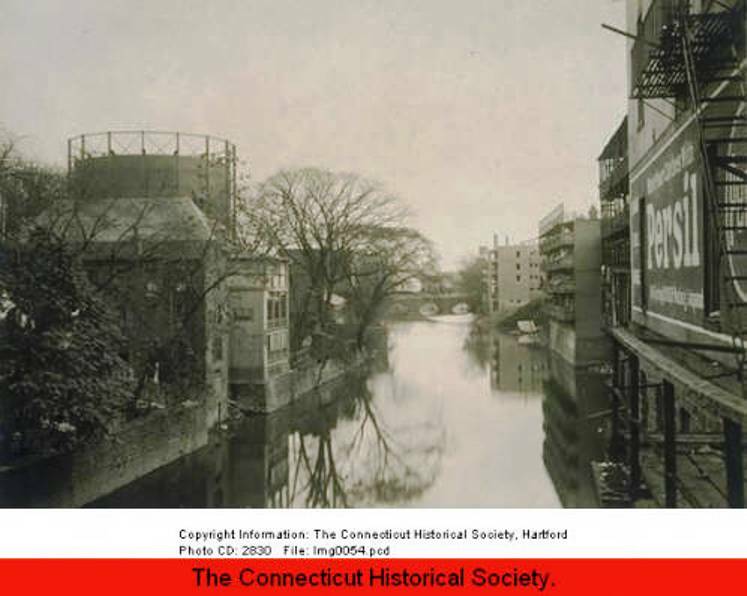 The Park River's main branch, perhaps the most abused urban waterway in Connecticut, still connects Hartford's west side to the Connecticut River, just as it did when the Dutch first arrived in 1614. 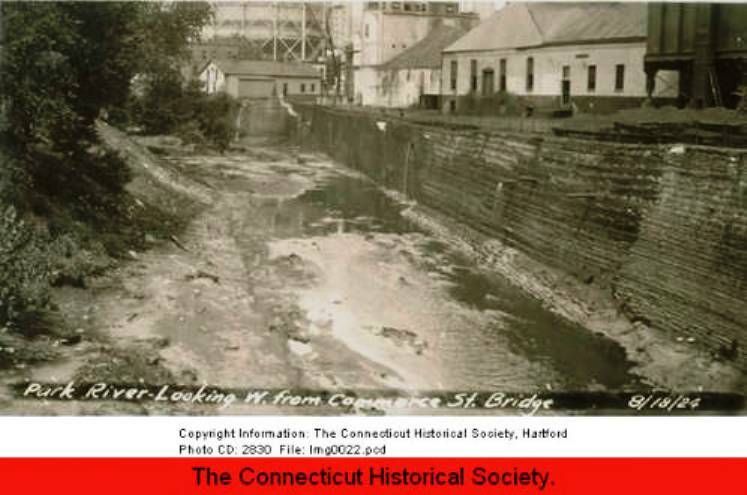 Only now the sinuous artery, used by Hartford's residents over centuries as a highway, power source and garbage dump, flows 30 to 50 feet below the surface. It runs under the State Capitol grounds, under a dreary connector road and under the headquarters of the Hartford Public Library. And so it happened that a New York Times reporter, bored by the seemingly endless budget stalemate at the State House -- an alien world of a different sort -- recently decided to take a ride on the underground river. 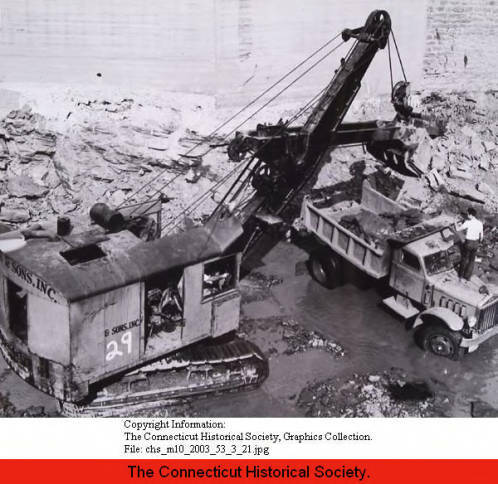 Putrid, prone to flooding downtown and in the path of what was to become Interstate 84, the Park River was buried in the 1940's by the Army Corps of Engineers in what was one of the largest, most expensive projects in corps history. 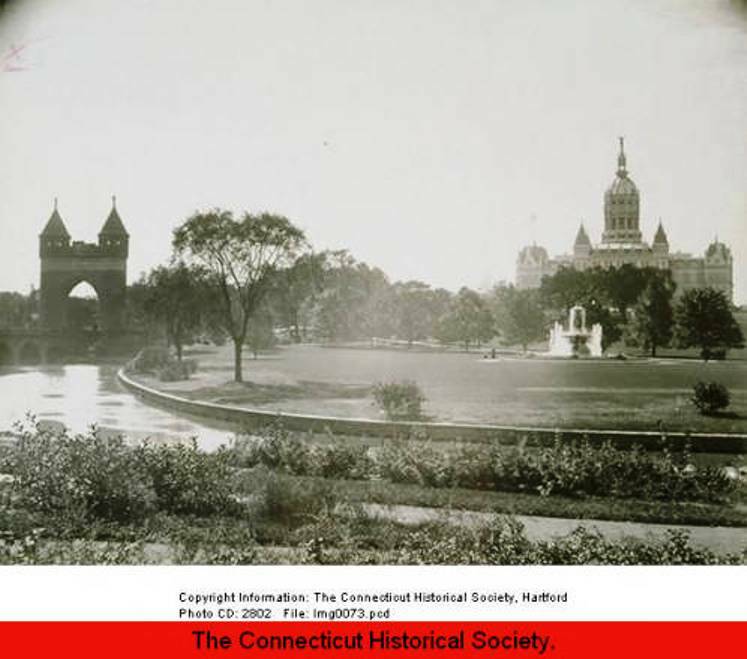 Instead of gently curving around Bushnell Park, the nation's first public park, the river was channeled first into a sloping concrete culvert and then, unceremoniously, into the bowels of what was then called the insurance capital of the world. We began the journey after work one day in late June, at 6:30 p.m. at the mouth of the culvert. Mr. Kulick, his son, Mike, Ed Wilcox, who is Mr. Kulick's young apprentice, and eight other canoeists, hooked up our life jackets, donned headlamps and put our five boats into the river -- all eight inches of it -- and pushed off. The water was warm and clear, and seemed clean enough to dunk a limb into. We peered downward. No one saw a fish. About 50 yards into the tunnel, the air became oppressively thick and hot, laced with the odor of flooded basement. Small flying bugs of undetermined species hopscotched over my skin as the dying light from the west slowly filtered into grayer, darker shades. 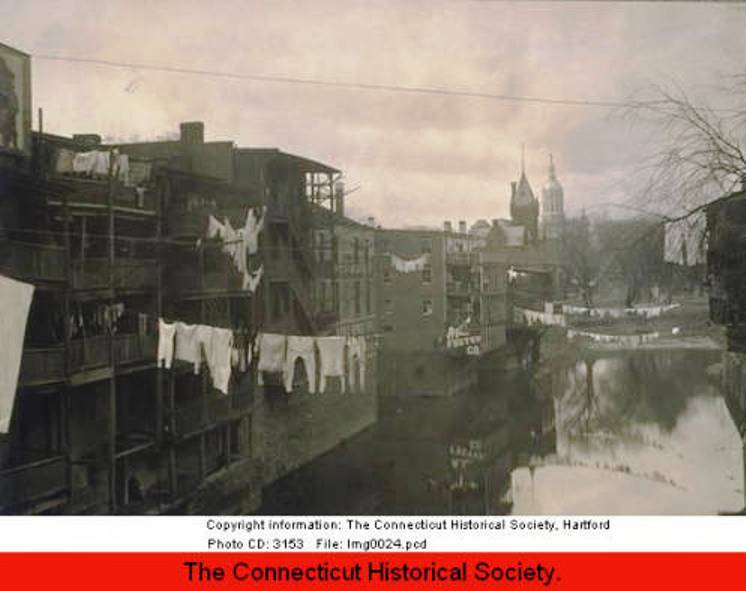 If this was what floating on the Styx felt like, the Park River today is a far less menacing 21st-century version of the vomitous above-ground waters that Hartford residents in the 1800's had derisively renamed the Hog River, with good reason. Our first pit stop was an overflow reservoir, meant to gulp down runoff during heavy storms. Pulling our boats to the culvert's concrete edge, we cautiously peered over the pit's sloping tongue. ''Wouldn't want to fall in that,'' Mr. Wilcox said to himself. As I stood still, my burning headlamp became a beacon to mysterious bugs, resembling small flying spiders, creatures I'd never seen anywhere above ground. The place was inhospitable but hardly untouched. Graffiti covered both walls of the spillway -- a marijuana leaf, a gang member's tag in balloon letters. Mr. Kulick, who has made this journey more than a dozen times over a decade, said some of the artwork was new to him. On we paddled, past more evidence of the sunlit world above us -- the rusting hulk of a bicycle; a shopping cart; a computer monitor; and, of course, an old tire sunk under one foot of water. ''There's a lot of cool stuff down here,'' Mr. Wilcox noted. To me, the tunnel's best qualities were its most evanescent. This far into the river, any noise -- banging a paddle against the canoe hull, for instance -- produced an echo that carries on for 30 seconds, perhaps longer. But if this sewer run produced no dead men, no shadow longer than our own, and a single frightened rat, it did provide a greater understanding of the plight of hundreds of American rivers unfortunate enough to flow through urban areas. 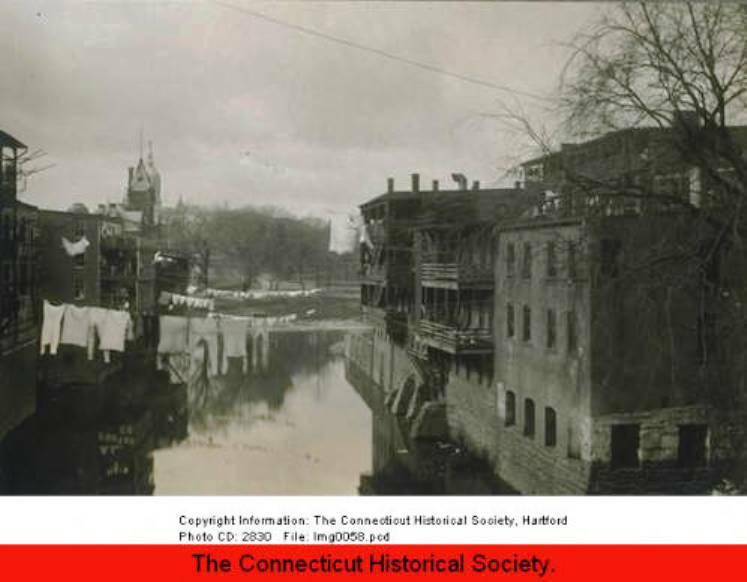 By the middle of the last century, city planners in Providence, R.I., had paved over the city's two rivers, the Woonasquatucket and Moshassuck, with highways and parking lots, creating what residents called the world's widest bridge. Early in the 1900's, tributaries to the Willamette River that run through downtown Portland, Ore., were ''piped'' to make room for roads. But over the past 15 years, if not in Hartford, the momentum in other cities has shifted back the rivers' favor, environmental groups say. 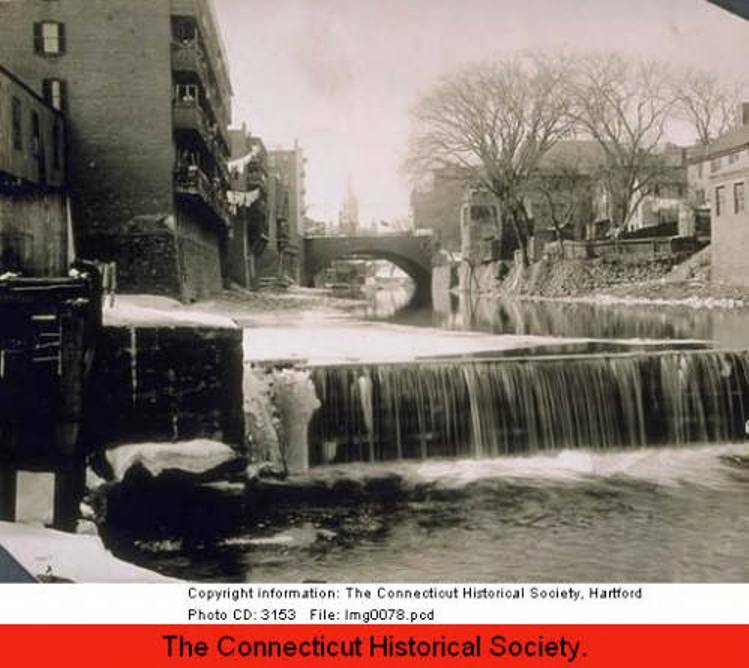 Providence spent $60 million to excavate the Moshassuck and Woonasquatucket from 1989 to 1992. The cleaned-up San Antonio River is now part of the city's scenic riverwalk district. As the Park River sloped downward, our canoes picked up speed. For several minutes, as we passed under Bushnell Park and headed toward the final stretch leading to daylight and the Connecticut River, our five boats barreled along at perhaps 5 miles an hour. We passed a hole in the side wall, from whose opening blurted liquid that seemed harmless enough. ''Someone just flushed a toilet,'' Mr. Wilcox said. It could be true; the Park River takes millions of gallons of sewage and storm runoff a year. Not a particularly confidence-building tip. But assured by the sudden prick of white light, we paddled farther, and faster, toward it. The culvert's ceiling bowed almost within reach. By 8:30 p.m., we were streaming out of a hole in the side of the Connecticut River bank.